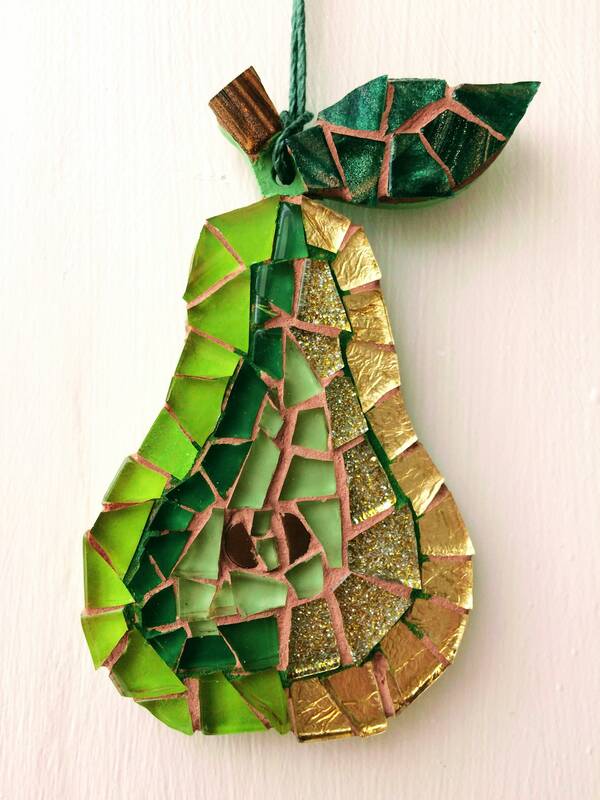 Pretty handmade hanging pear ornament with different shades of gold and green glass tiles- iridescent glass,sicis glass, glitter tiles and foil-backed tiles which all catch the light in different ways which makes the piece really shimmer and shine. 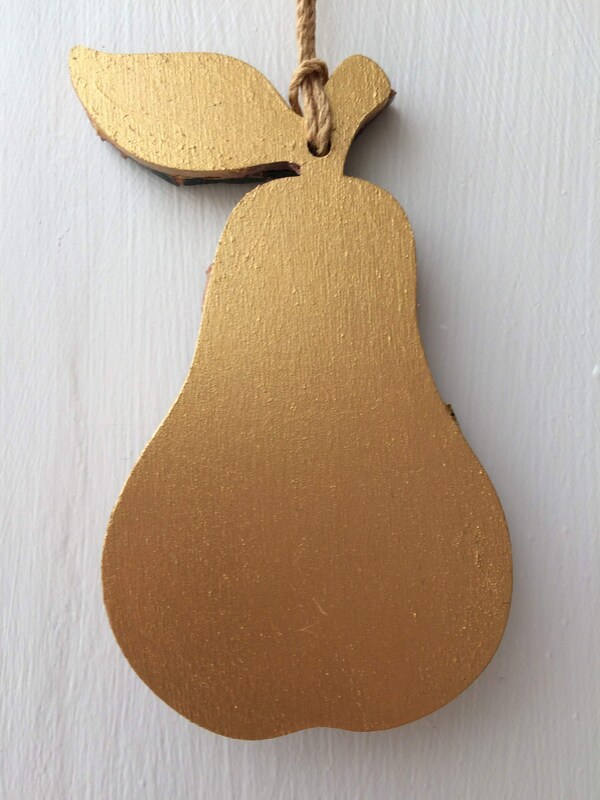 Measures 8 cm in height. 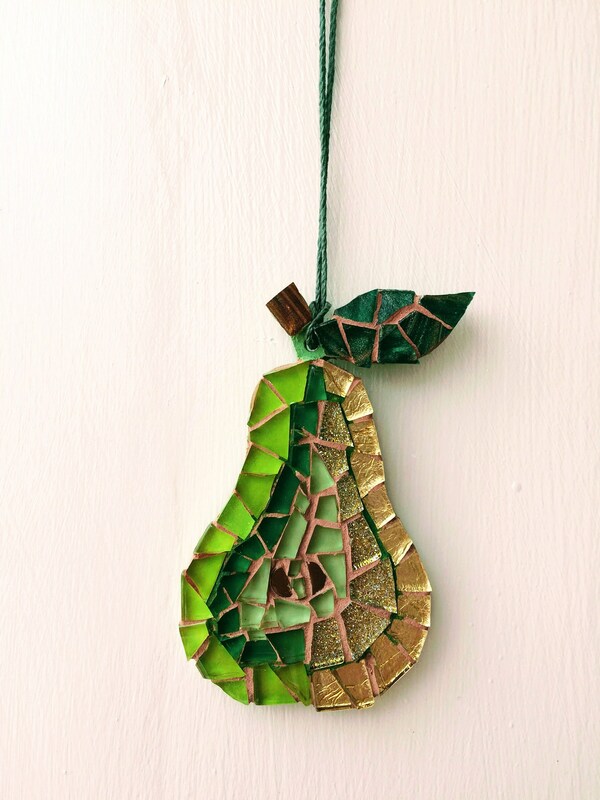 Made with hand cut glass tiles which are glued onto a birchwood pear template, then grouted in caramel. 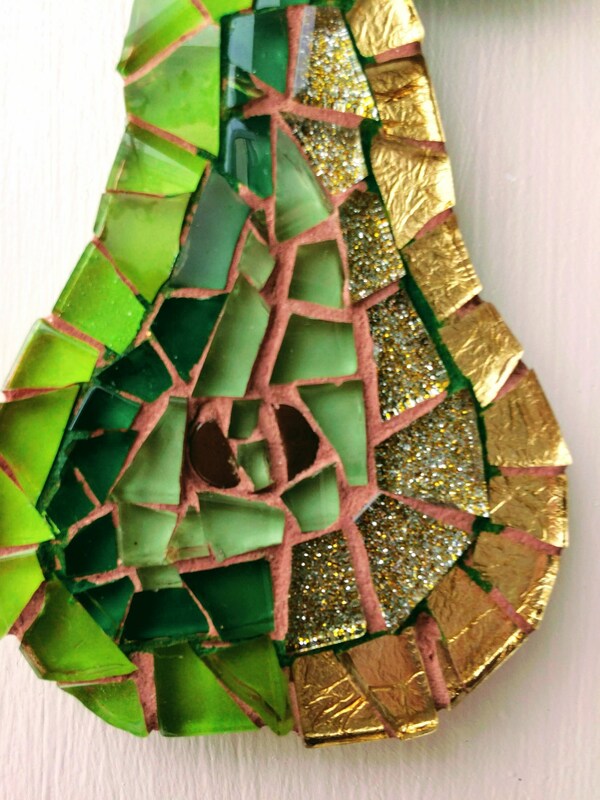 The back is painted green and varnished. Complimentary gift wrapping (tissue paper and ribbon) on all smaller items.